THE STORY OF THE OTHER NELSON MANDELA OF THE 19TH CENTURY – MAKANA (1780 – 1820). Almost 200 years ago a figure very much similar to Nelson Mandela died in an escape bid of prisoners from Robben Island when he perished in the sea just off Blobergstrand not far from where I live. Descriptions of Makana (also sometimes spelt Makhanda) and stories of him, even those written by his enemies describe him in the same glowing and respectful accolades that today are presented about Nelson Mandela. His life followed a very similar trajectory too. Makana’s War was the 5th of nine amaXhosa Resistance Wars in the Eastern Cape and was the last of the 15 Khoena and San Wars of Resistance of the then defined Cape Colony. Makana the great resistance warrior and prophet was brought to Camissa (Cape Town) as a prisoner of war and incarcerated on Robben Island. The warrior-prophet Makhana carried both the heritage and tradition of his Khoena mother and his amaXhosa father. He was born of a Khoena woman and died amongst his Khoena kin when Chief David Stuurman’s escape boat capsized in the waves. As much as Makana is a hero of the Eastern Cape amaXhosa he is a hero of the Khoena of Camissa (Cape Town). His lifetime friend and fellow resister made it to shore but was later captured and exiled to Australia. It was David’s second successful escape from Robben Island – the only man to have done so successfully. In 1980 in an ANC guerrilla camp of Umkhonto we Sizwe at Quibaxe in war-torn Angola an MK guerrilla soldier Barry Gilder alias Jimmy Wilson, guitar in hand, belted out a popular song and the other combatants sang along with the chorus…..
A war was just beginning, that would put blood on many hands…. Before the spirit of Makana will at last be home and dry…. Makana, the powerful spiritual leader, an ‘Itola’ who arose from humble roots to lead his soldiers 200 years ago in the attack on Grahamstown, and who drowned in an amazing mass escape from Robben Island imprisonment, still commanded the hearts of his soldiering people in the same drawn out anti-colonial resistance struggle of the latter 20th century. The writer Charles Lennox Stretch described him as “adorned with “bracelets made of coarse hair which hung from his arms, but he especially valued his ivory arm-band, the insignia of a very great man amongst the amaXhosa.” Stretch also estimated Makana’s height to be six foot and four inches. These are all very familiar descriptions of Nelson Mandela, the leader and national hero of our times. The man thus described also had a number of names and much mystique surrounded him. Two centuries later his name still commands awe and respect. Makana, (also written and pronounced as Makhanda), was also known as Lynx, and Nxele (the ‘left-handed one’). Perhaps the name Lynx was derived from an Anglicisation of the Dutch word ‘links’ meaning ‘left’ referring to Makana’s left-handed disposition or perhaps it was from the stealthy Cape Caracal wildcat with its lynx-like looks and sometimes apparition-like sudden appearances as if from nowhere. Like the Caracal, Makana was also given to wandering around in the wilds, often deep in contemplation. Makana is said to have been born somewhere along the Qhagqiwa river (Swartkops river) near to Uitenhage. His father was an amaXhosa man by the name of Gwala from the amaCwerha clan and his mother was a Khoena (Khoi) woman of the Gonaqua clan. The people of this area of the Eastern Cape were strongly rooted in a mix of amaXhosa and a number of Khoena clans with longstanding roots in the district – the Gonaqua, Hoengeiqua, Inqua and others, and one cannot always easily separate out the two cultural streams that merged in the south eastern Cape. Today the amaXhosa have as much claim to Khoena and San roots as do people labelled “Cloured” yet the latter reject any association with their amaXhosa cousins. The date of birth of Makana cannot be pin-pointed with accuracy, but if one works from the time that Makana said he held discussions with Dr Johnnes van der Kemp, an equally fascinating rebel missionary from the Netherlands, and was in a position to present him with a cow around 1800 as a young man then his birth would date circa 1780. Long before Dr van der Kemp launched his missionary work amongst the Khoena and later established the mission at Bethelsdorp, he first spent a year amongst the amaXhosa, being the first missionary to do so. Unlike other missionaries van der Kemp discarded his European dress and wore similar garments to his African brothers and his theology to was highly influenced by indigene perspectives. This resulted in rejection and ridicule by the colonists who were also enraged at his defence of indigenes and his rejection of slavery. It is during this period when van der Kemp first was in contact with the southernmost amaXhosa that Makana says he met him. Makana’s father Gwala died when he was a young boy and thus he was brought up by his mother and came under a strong Gonaqua traditional influence. She had a reputation as a spiritual diviner and medicine woman. Makana’s persona as one later to be recognised as an ‘inyanga’ was rooted in the early guidance of his mother and in his Gonaqua roots. The amaXhosa also particularly held the Khoena and San spiritual guides in high esteem. This traces far back to the old Mapangube Kingdom going back to the tenth century where the mixed Khoena-San-Bantu community were governed by the only verifiable Khoena and San Royalty (as per dna testing of two royals buried per Bantu custom but having dna matching Khoena and San. No other evidence exists that Khoena and San south of Mapagubwe ever had royals, other than colonials temporarily labelling some as such for mischievous ends. Makana’s mother’s influence held sway largely in his formative years and early teens. Thereafter the broader mixed amaXhosa-Khoena society of the Gqunukwebe (Gonaqakhwebe) community, and then the Rharhabe Xhosa and other influences around him would dominate his life. Makana grew up in a period where there was much fluidity within the Zuurveld and the FishRiver areas with constant mobility over fairly wide distances. Another display of his Khoena roots was Makana’s tendency to wander around and to spend much time in the bush away from human settlements. Life was punctuated by one dramatic event after the other in the region and traditions were assaulted and open to remoulding. There also was a great mixing amongst amaXhosa, Khoena, missionaries, runaway slaves known as Drosters, Boers and later the British in South Eastern Cape. This turbulent period would have a tremendous influence on the young man. When his father died, Makana’s mother took him and his siblings to the FishRiverValley where they lived with his foster father Balala in the vicinity of what was to become Glenmore. Here Makana was schooled in the traditions of the amaXhosa and their traditional leaders. As a commoner he found his way into the presence of the royal leaders and their advisers, rapidly rising to becoming an advisor, an appointed chief and military commander. During his days as a wandering preacher an incident had occurred where he came under assault from a gang of detractors and was rescued by one of Chief Ndlambe’s councillors Qalanga. It was this patron who introduced Makana to the great royal chief and one time regent of the Rharhabe, Ndlambe who first conferred upon Makana the special status that launched his resistance career. Makana’s spiritual calling and reputation was the key to providing the means for this social mobility. The captivating message of the missionaries and the advantages that they offered also meant that any inter-locater between the missionaries or their message and the chiefs, would also build a degree of power and influence. A number of such inter-locators emerged over the years, the most important of these being Ntsikana and Makana who soon became rivals. Ntsikana, represented a strong bias towards the missionaries and the purity of their message which effectively was useful to colonial interests. Makana on the other hand crafted his Christian message to synchronise with the interests of his traditional society in a form of Liberation Theology. In taking the latter role Makana was to become demonised by the mainstream missionaries, their inter-locaters and converts and, much of what he stood for was distorted over time. Ntsikana became strongly associated with Chief Ngqika who would play a collaborator role and Makana with Chief Ndlambe and the amaXhosa resistance. Much of the writing to which any researcher will turn, involves a litany of statements, maligning Makana and painting him as a lunatic and trickster. Modern writing often simply reflects this image, not stopping to question that much of mainstream writing reflects the views of his opponents and their opposition to African traditional belief systems and a culture that they believed to be uncivilised and evil. There are however a number of other researchers and evaluators of Makana who present a different picture. In most recent literature Max du Preez presents Makana as one of the ‘tricksters’ and curiosities of history based largely on the first school of writers who range from the biased missionary and colonial commentators to those who first begin to break with this tradition. Even although he frames his story based on these writings, du Preez however still pauses momentarily to cast some questioning of the claims that Makana was a madman. In contrast, Julia Wells in her work which more thoroughly explores Makana, the legend and the man, she opens her readers up to those particularly amongst black researchers and commentators who view Makana differently and also offers her own unique and refreshing perspectives. Particularly in times of conflict, even a cursory glance at world history will reflect a degree of the “barmy” in any of the most prominent leaders on the global stage. In South Africa in the conflicts of the 1800s Sir Harry Smith may well be described as being “as mad as a March hare”, but history does not project this as his defining characteristic in the same manner as it does when it comes to portraying Makana as having a touch of lunacy and being a trickster. Colonial history in South Africa often maligns opponents of colonial expansion. Makana, well known for his enquiring mind and for matters spiritual, was influenced to a degree by his contact with particular missionaries such as the Dr van der Kemp of the London Missionary Society. Dr van der Kemp was also considered eccentric and had a reputation amongst his European detractors for his respect for African traditions and in his having strong non-conformist millennial theological leanings. Dr Johannes Theodorus Van Der Kemp established himself in the region in 1799 when he first went to live amongst the amaXhosa. He later built up a missionary settlement on the little Swartkops River which became known as Bethelsdorp. It is likely that he first met Makana at the time when he inter-acted with Ngqika and Ndlambe. It is interesting to note that Dr van der Kemp was a latter day convert to the missionary calling and had formerly also been a soldier. This soldier-prophet concept would not have been lost on Makana. Dr van der Kemp was an abolitionist and a harsh critic of the colonial authorities and the cruelty of the Boer frontiersmen. All of these things would have fascinated the mind of Makana who always spoke highly of van der Kemp. But Makana has over the years often been overly associated with the missionary millenarian tradition to such a degree that it clouded evaluation of his role in the resistance to colonial expansionism. Julia Wells in her work on Makana sounds a caution that we should not look at Makana as simply being a half-finished product of the missionaries but be bold enough to look at him as a self-made man. Evaluation of Makana’s role in history was largely cultivated by his Christian detractors and by propagandists justifying the British conquest of the peoples of the Eastern Cape and their genocidal and scorched earth practices while twisting the causes for the wars that raged through the region for over 100 years. Makana’s beliefs are misrepresented as a mix of witchcraft, exploitation, abuse of religion, manipulation and the irresponsible duping of his people. Many myths, untruths and distortion overlay the evaluation of his life, which later researchers have challenged. Much of the derogatory assessment arises from contestation by Christian contemporaries where a debate, which still rages two centuries later, took the form of so-called civilisation versus backward heathenism, or European notions of culture versus perceived African backwardness. A range of respected researchers effectively counter the colonial smearing of Makana. This defamation streak unfortunately smothered and covered up a campaign of conquest accompanied by violence against Africans which adopted genocide proportions, including naked land grabbing and the subjugation of the amaXhosa by a powerful British imperial force. By painting Makana as a false-Christian and a barbaric threat to the civilising mission, his role as freedom fighter and champion of justice, was effectively covered up. It has much parallel with the white South African smearing of Mandela and their opponents as being terrorists – something that even those among the white ‘opposition’ parties in the Apartheid era also expressed even while contradictorily championing Mandela and other political prisoners human rights. Opposition party leaders branded Mandela a terrorist but differed only from the National Party Regime when they said that nonetheless his human rights must be respected as a prisoner while at the same time saying that he held the key to his own freedom if he would only renounce “Armed Struggle”. Makana faced these same contradiction from the colonial authorities in his day. In the first two decades of the 19th century during this intense period of the British assault on the amaXhosa, which was rooted in the earlier Boer vs amaXhosa and the long history of wars against the San and Khoen that resulted in the ethnic cleansing of the Western Cape of all Khoena and San tribes. The conflicts in the Zuurveld arena of war first began in the decade before his birth and it is from this arena that Makana made an indelible mark on resistance history. He stood out as occupying the position of ‘Itola’ where he was recognised as being both a spiritual and military leader in service of Ndlambe, the one time regent of the Rharhabe, one of the highest of the traditional leaders in the region. This was remarkable because the fact was that Makana was a mere commoner who rose to this role from amongst the lower echelons of society. He was not born a Chief nor a Royal. Julia Wells points out that the traditional role of ‘Itola’ amongst ‘Inyangas’ was never really understood by historians evaluating the life of Makana. At best it was seen as a ‘war-doctor’ or ‘warrior-priest’. But by the time of his death, Makana was held in similar esteem as any of the royals of his time, though not a royal nor heredity chief. History shows him to have been both a pioneer of the independent African Christian tradition and a traditionalist. The huge following of African Independent Churches such as the ZCC and others today are accepted as a normal part of modern South Africa, but in Makana’s time he was portrayed as demented and as a blasphemer because of his early Africanist challenge to mainstream European missionary defined Christianity. Makana was highly attuned to the inter-connectivity of everything in life, animate and inanimate, the elements, fortunes and afflictions, to the human spirit. The human spirit too was inter-connected to the ancestral spirits, and the ancestral spirits provide access to Qamata or Thixo, in which all things seen and unseen found union. Makana challenged both the European Christian message and the amaXhosa traditional belief system by referring differently to the almighty, as Mdalidipho and used the name Taay for Jesus. He spoke of having a special personal relationship with Taay whom he referred to as his brother. Makana’s spiritual awareness struck everyone who met him and was commented upon by the missionaries as being striking, but his special gift was the manner in which he could inspire others to follow a spiritual path which was not simply ‘other-worldly’ but which could be applied to the struggles of their lives in the here and now. In the face of the colonial onslaught Makana provided hope and a sense that the power of the nation could be mustered to counter attack an evil that had befallen his people. Everything that we know about Makana suggests that he held awareness that the Khoena and amaXhosa faced a major crossroads in time and that the new challenge of British colonialism was the greatest challenge ever faced by his people. It is recorded that many attested to Makana having the prophetic gift of being able to see future events and the gift of healing. At some stage in his early youth Makana had also regularly come into contact with Boers on their farms and perhaps had even briefly worked on a Boer farm. He was known to have had a strong understanding of Christianity and white culture even before his later contact with missionaries not so much as a result of having been taught but rather gained through interaction and experience. The term Christian and Boer, were at this time both used as an almost ethnic group term, for Europeans, by them and by the Africans. In itself this was problematic for those at the receiving end of proselytization because where did this leave the black convert? Makana furthermore had first-hand knowledge of the mistreatment of black people by the Boer farmers, the Christians, who wanted black people to accept their Christian message but not to have equality with the white man. Makana had a deep sense of justice and injustice which he recognised in Christian teaching but at the same time could see great contradictions between these teachings and the Boers who had adopted the term Christian as a kind of ethnic identity. In the British he saw another face of Christianity where this powerful military force saw their imperial majesty almost as the representative of Christ on earth. Makana could see that politics, military action and religion had a special and powerful relationship. He sought to apply this same formula of a relationship between the political, military and spiritual, to amaXhosa resistance and advancement. Makana and all of the amaXhosa had a clear understanding that the British and the Dutch before them were seeking to take their land from them. From the late 1760s when the Boer trek farmers started moving into their lands until the brutal expulsion of the Gqnukwebe and other amaXhosa from the Zuurveld in 1812, the Europeans had made it clear that they coveted the amaXhosa territory. Makana was known to wrestle with these issues and had begun to weave a syncretised union of some elements of the Christian faith with traditional African belief systems. This may have indeed been the best way that he could see of immunising his people to what he recognised as the beguiling and disarming message of the missionary advance guard of British imperialism, while at the same time taking advantage of some of the very real benefits to be had by engaging with the missionaries and at least part of their message. Makana was astute in being able to distinguish that there were very different schools of thought between different missionaries, showing respect for the teachings of Dr van der Kemp in particular. He further went out of his way to engage with a wide range of others, particularly the Military Chaplain van der Lingen, in Grahamstown. The latter interactions are particularly interesting in that some may well characterise Makana as the Military Chaplain of the amaXhosa. Makana may have been one of the first indigene proponents of African liberation theology and black consciousness. At one stage in his life he practiced a quasi-indigenous form of evangelism which had the missionary James Read impressed, bemused and befuddled all at the same time. As such he was the one to take the gospel (albeit according to Makana) to Chief Ndlambe and his people. He did this in a manner which literally assumed the roles of John the Baptist, Jesus the preacher and Saint Paul where he acted out the message and did not simply convey it as a detached messenger. Makana’s African style of bringing across the message of Christianity incensed the European church who saw it at best as a false Messianic enactment and at worst as blasphemous. This is a very similar reaction to the spread of Voudoun, Santeria and Dukun through the colonial world of the Americas and Caribbean where Christianity and other Abrahamic faiths such as Islam were over-laid with elements of African and Eastern animist belief systems as a result of the African and Asian diaspora brought about by the slave trade. Makanda was not the only unusual commoner of his time to engage as an advisor to the chiefs. Hermanus Ngxukumeshe Matroos the son of a slave who had sought refuge amongst the amaXhosa and free-Khoena later also rose to the rank of adviser and military leader. Likewise, the rebel Boer non-conformist Coenraad de Buys who had as one of his many wives, the mother of Chief Ngqika, had also risen to the role of adviser. There was further, a number of Khoena leaders who would interact with and ultimately share a fate with Makana in being imprisoned together on Robben Island – amongst these namely, Khoena Chief David Stuurman and fellow combatant in the Khoena Confederacy, Hans Trompetter. Makana had one of Trompetter’s sisters as a wife. These relationships between Makana and resistance contemporaries were complex. There was none of this modern day antagonism between Khoena (Khoi) and San which is a perversion of history. There were also a number of white rebels who made common cause with the amaXhosa and rebel Khoena in the region too. Besides the already mentioned de Buys, there were men such as the German, Klaas Liebenberg, Irishman MacDaniel, and Boers – Bezuidenhout and Faber. Makana was held in high esteem by all of these. The unfolding drama of the Zuurveld conflict and the successor frontier wars threw Makana into the role of warrior leader amongst other notable warrior leaders. They all graduated from lower level resistance conflict with the Boers to having to stand up against the full might of the British Empire as the invaders implemented a scorched earth approach to establishing control over the whole of South and Southern Africa. Makana however stood shoulders above all in that he led a full frontal attack by 10 000 warriors on the British garrison town of Grahamstown. It had all of the hallmarks of a major military battle from its early espionage and intelligence gathering to its planning and implementation. It was also both a symbolic target and a military target. If Grahamstown had been successfully seized by the amaXhosa the course of history may have been very different. Grahamstown was named after the man considered by the amaXhosa to be the butcher of the Zuurveld, Colonel John Graham. He had arrived in the Zuurveld in 1809 and launched the scorched earth campaign of genocide proportions in the region with gusto and great brutality. Under orders of Lord Caledon, with massacre and destruction, he blazed a path through the Zuurveld wiping out and pushing back all amaXhosa in his path, even those working on white farms. Orders were given to shoot any Xhosa person on sight and by 1812 he had succeeded, where each of the previous three frontier conflicts with the Dutch had led to failure by the authorities to halt the expulsions of Boers from the area by the amaXhosa. The battle of Grahamstown was thus highly symbolic and offered an opportunity to literally ‘do a Colonel Graham’ on the British. The South Eastern Cape Zuurveld had been argued by the Europeans to have been an ‘empty land’ – an argument which in modern times evaluation of the facts is easily proven to have been a popular historical untruth. Stellenbosch based commandos had done sorties as early as 1702 into the South Eastern Cape region and come across amaXhosa long before the trek Boers. AmaXhosa oral history tells us that the Imidangwe clan lived around Graaf-Reinette before 1700. In the 18th century long before the trek Boers arrived the Kucha and Ntinde clans entered into an agreement with Chief Gola of the Gonaqua Khoena where they purchased the area between the Fish and the Sundays rivers for 800 head of cattle which the Gonaqua then took to Bruintjies Hoogte. It was these Gonaqua here at Bruintjies Hoogte that were the first to receive the onslaught of trek Boer incursions. When the first Boers started arriving in the Zuurveld around 1770 its mixed Khoena-amaXhosa inhabitants lived with them in peaceful coexistence. But then more and more arrived and they started to want to lay down their rules. The Indigene inhabitants also disapprovingly witnessed how they treated their slaves and pacified Khoena labourers on their farms. Furthermore they were using Indigene labourers who were not properly rewarded and they did not respect indigene grazing rights for cattle and indeed coveted their cattle. The first approach of the amaXhosa was to use their traditional method of cattle reeving to caution and punish the Boer farmers for their transgressions. This entailed stealing cattle through raids and then returning it in a show of strength as to establish who was in charge. When this failed the amaXhosa took to expelling the Boers from the area at different periods and going to war, where after negotiated treaties established frameworks of rules. These became known as the first three frontier wars of resistance. In all the Khoena and amaXhosa de facto won the day. The colonist farmers did not have the mass professional soldier and cavalry advantage that would come later with the British. It was those advantage that would be the game-changer. In 1799 Chief Nlambe led a mass movement into the Zuurveld to join his resident brother Mnyaluza to strengthen his hand. In coming together to make a stand they also joined up with a revolt by the southern Gqunukwebe (the mixed amaXhosa –Khoena) and the Khoena Confederacy under Klaas Stuurman of the Gonaqua Khoena of the Gamtoos who had been forced into slave labour conditions and brutalised by the Boer farmers. The amaXhosa clans and Khoena joined forces to expel the Boers from the Zuurveld in the third Frontier war of Resistance and were largely successful in this endeavour against the weakened Dutch and the temporary occupying British government troops. Many runaway slaves given sanctuary by the amaXhosa also participated in this resistance. The period 1800 to 1809 was a time when Makana prospered and earned respect as a leading figure amongst the amaXhosa. Allied to Chief Ndlambe, this was the learning ground for the young prophet Makana who was emerging as an important advisor to the Chief and one who was in turn influenced by other warrior contemporaries in times of war. From 1807 to 1810 Ndlambe had a relatively free reign in the Zuurveld after Ngqika had been defeated in the Thuthula civil war. Makana made his full transition to prophet-warrior during the period from 1811 to 1812 when he bore witness to the brutal wresting of the lands of the amaXhosa from them by Colonel Graham’s troops. Ndlambe and his people were impoverished by the scorched earth campaign by Colonel Graham and driven out of the Zuurveld to east of the Fish River to become completely reliant on King Ngqika. At this time after the war, Makana held a mass ceremonial cleansing service and traditional slaughter of cattle on the beach at Gompo Rock near today’s East London, where he called on the people to reconnect with their ancestors so that the dead may arise to infuse their spirit of resistance with new life at this most terrible moment in the history of the amaXhosa. The nature of this traditional ceremony was greatly distorted by missionaries and colonial commentators. The character of Makana was also moulded by his experiences in being caught up in the civil conflict within the Rharhabe amaXhosa. Like any large family the Rharhabe had its own inner family disputes. In a complex extended family such as the royal family with its many structures and subjects scattered over a wide area, family disputes were easily able to descend into broader civil conflicts. The complexity of the regional environment and new social forces in the midst of the Rharhabe contributed to escalating disputes and conflicts which well may have otherwise died down quickly. Social change within the Rharhabe and broader amaXhosa society was a further contributor to civil conflicts becoming drawn out. The principal characters in the conflict were Chief Ndlambe and King Ngqika. Like most family disputes there were ebbs and flows in the Rharhabe disputes with relatives and counsellors coming in from the wings to put out the fires. At times Ngqika was in ascendency and at other times Ndlambe was on top, with each having very low points at different stages. Over time ‘blood is thicker than water’ and what at one time may seem insurmountable, at another, a resolution was able to be found. Even at the height of their conflict, stepfather and uncle Ndlambe, and stepson and nephew Ngqika, there was always an awareness of being part of the same royal family and communications remained open. Ndlambe was not just Ngqika’s father’s brother, he was also stepfather to Ngqika because Ndlambe had taken his brother’s wife a his own. Perhaps these dynamics also played itself out with Ngqika being 4 years old when his uncle and stepfather became regent. The regency rule continued until 1796 some 13 years later. The roots of the conflict go back to the social change within the amaXhosa after King Phalo had passed away. and the single royal lineage gave way to two branches of the amaXhosa in the form of the great house of the Gcaleka’s and the right hand house of the Rharhabe. This also had a territorial dimension and a period of adjustment played itself out over a few generations. Hardly had this began to settle, when King Rharhabe died and his heir Ngqika was too young to rule. Rule was thus exercised by his uncle Ndlambe.as regent. Together with his councillors the regent ruled for 13 years until Ngqika came of age when he completed his initiation into manhood. This scenario was unsettling given the new regional dynamics with the white settlers. As with many impetuous youth, there was still a way to go in terms of maturing and the polishing of character but the 17 year old Ngqika was eager to demonstrate his mettle to his fellow graduating initiates. He wanted people to know immediately that he was the new authority and he also wanted the colonial authorities to recognise the same. While it was vital to the Rharhabe that some form of continued sharing of authority and good counsel between Ndlambe and Ngqika had to hold at this time of intrusion by the colonial forces, the concept of sharing his stage with stepfather Ndlambe could not be seen as an option by Ngqika. He overstepped the mark in terms of due respect and protocol by humiliating his stepfather after Ndlambe had very amicably handed over to the young King shortly after he had been inaugurated. It was this initial act of a brash and inexperienced youth that soured relations between the Ngqika and Nlambe and led to a lifetime of a peculiar conflict between the two. The problem could have been easily mended by councillors on both sides but the young King was peeved that many of his subjects had decided to move off with the former regent when he left the Great Place. When Ndlambe protested at his humiliation, Ngqika retaliated to teach his uncle a lesson to ‘know his place’. At a later stage when conflict had receded, Julia Wells in her comprehensive research, quotes a story where Ngqika is purported to have told his uncle, “When you were my tutor, you taught me to be a generous king, and since I became King I hope I have taught you to be a faithful subject.” Julia wells also makes the observation that regardless of their conflicts, Ndlambe still showed due respect to Ngqika as King and that Ngqika still turned to Ndlambe for advice. The youthful Ngqika was also the first of the amaXhosa leaders to have to deal with the Europeans – the Boers, the missionaries, the Governors from the Cape and the British soldiers. It was a huge responsibility and nothing could have prepared him for this task which called for great wisdom. The civil conflict which went on for 24 years, played into the hands of the British forces with their ‘divide and rule’ tactics and posed one of the greatest threats to amaXhosa social cohesion in times of war. The differences between the two royals were differences around respect for protocols, and difference of young and old, stepfather and son and of divergent styles. It also became differences of tactics on how to deal with their common enemy. These differences at times crossed the threshold of the acceptable in broader amaXhosa society at crucial points in time with devastating consequences for both leaders. Makana entered this mix as spiritual adviser to Ndlambe while Ngqika took on another dynamic young preacher as his spiritual advisor, namely the evangelist Ntsikana. And thus emerged yet another dimension, of different approaches to the Christian faith that had been introduced. Ngqika and Ndlambe’s conflicts slowly began to include a playing out of a spiritual war between their two proxies Ntsikana and Makana. Each was proponent of diametrically opposed interpretations of the Christian faith. They also differed in their approaches to the colonialists. Makana’s war started as a war of words, ideas and spiritual expressions. As councillor to Ndlambe, Makana inevitably became a warrior in this civil conflict and it in turn dovetailed with his anti-colonial resistance. In January 1818 Major Fraser set out across the FishRiver to attack Ndlambe but had a rude awakening when his small commando found themselves almost surrounded by 2000 warriors and had to beat a hasty retreat. To impress his superiors Major Fraser set upon his own British allies – Ngqika’s Rharhabe and, robbed them of a couple of thousand head of cattle. This outrageous act of blunder ended up temporarily uniting the followers of Ngqika and Ndlambe against the British, as anger spread through the territory. King Hintsa and the Gcaleka and, their neighbours the Tembus, were also drawn into what began to emerge as an anti-British amaXhosa and free-Khoena confederacy of the aggrieved. The ferment included a number of Khoena groups as well as fugitive slaves who had fled their masters in the Colony. One of the latter groups allied with amaXhosa Chief Kratu. They made common cause under the direction of Khoena leader Klaas Geswind in a plot to attack Uitenhage and kill the hated Landdrost Cuyler. The plot was uncovered and Klaas was tried and hanged while the other co-conspirators were sentenced to imprisonment on Robben Island. The confederacy of the aggrieved did not hold together and instead of a focus on their British enemies, a civil conflict panned out between King Ngqika who had become distrusted and isolated and the rest of the allies led by Ndlambe. The culmination of this civil conflict was that King Ngqika, the collaborator,was defeated at Amalinde in November 1818. Faced with this situation King Ngqika appealed for British support against Ndlambe and in December 1818 Ndlambe was attacked in a devastating raid by Lieutenant Colonel Thomas Brerton. The British knew that the weak underbelly of Ndlambe and his people were the cattle herds on which they relied for sustenance. The aim was to starve Ndlambe and his people into submission. The British attacked the cattle herds of 25 000 head of cattle, destroying some and capturing the rest which they handed over to King Ngqika. The amaXhosa were united in their outrage about this raid which caused great suffering amongst many people as it impacted negatively on the livelihoods and sustenance of Ndlambe’s people. Julia Wells in her excellent appraisal on the lead up to the attack on Grahamstown, elaborates in fine detail on these events and argues that the Fraser and Brerton incidents became the rallying point for the ensuing war of Makana and the attack on Grahamstown. She shows how neither Makana nor the amaXhosa started the fifth frontier war but it was rather these two significant attacks by the British that unleashed a state of war in which the battle of Grahamstown became the most significant of battles. The Fraser and Brerton events provided an anchor for the orations of Makana which had people near and far spellbound and fired up. This climate produced the perfect storm where Makana’s spiritual, oratory and military skills came together at the right time and place as he became respected in the role of Itola. His became the rallying call for all freedom loving amaXhosa to join in the war. The amaXhosa had gone through 40 years of land grabs and suffered aberration upon aberration at the hands of the Boers and the British. Makana made a rousing call for united action by all of the aggrieved and promised to raise a force like no other to ensure a British defeat such as they never experienced before in Africa. His objective was to halt the British advance and to drive them out of the land. But Makana was not just talk. He was a planner and intelligence chief too. He was also a strategist. He was not interested in carrying out a simple raid. It was his belief that a major demonstration of conviction and strength was needed to teach the British a lesson in war. In the first four months of 1819 Makana launched a preliminary offensive of some note in the Zuurveld, expelling settler farmers in his path. He conducted over 21 raids and battles. This was both the curtain-raiser to the Grahamstown attack and also the decoy. Furthermore it was a means to collect the material resources to produce and build up the weaponry for the attack on Grahamstown. The logistics of the Grahamstown battle was a huge challenge against which Makana’s abilities must also be evaluated. Julia Wells in her comprehensive research on this period calls this the ‘guerrilla warfare’ stage of Makana’s war. This ‘war of the flea’ wore down the British quite considerably. Makana’s raids and battles in the Zuurveld over these four months forced the British to change their military leadership and to adopt new tactics. This was how Lord Charles Somerset ended up appointing Lieutenant Colonel Thomas Willshire as British military commander on the frontier. Julia Wells in her research points out those traditional accounts of these times that focus only on the Grahamstown defeat of Makana which attempt to paint a distorted picture of a ‘foolhardy’ attack without any context. She demonstrates the need to separate out colonial traditionalist, missionary influenced African traditionalist, revisionist, African liberationist, and post-revisionist research traditions in arguments to analyse the life, times and war drama of Makana. A detailed rebuff of many disparaging arguments on Makana and his role using a narrative of the events, which cross-references a wealth of previous research and commentary, results in the interestingly new and refreshing conclusions by Ms Wells. Ultimately it is proven that the lens through which one examines the available resources is what determines the outcomes of all research and commentary on Makana. It is from such an approach that Makana emerges as a truly remarkable and most understated man. On the amaXhosa side of the war, Makana held the position of ‘Itola’ and shared the command of the Grahamstown battle with Chief Ndlambe’s son Mdushane. Chief Phato the son of Chief Chungwa of the Gqunukwebe and King Hintsa of the Gcaleka also played leading roles in mobilising for the attack. Up to 10 000 warriors were amassed and thousands of spears and other war-gear had to be produced for the battle. This mammoth event was organised secretly whereby the amaXhosa maintained the element of surprise. Makana also commanded spies amongst the British in Grahamstown to provide intelligence. Makana through one of his agents in Grahamstown, Hendrik Ngcuka, provided false intelligence to the British on amaXhosa intentions. As a result of the false information the British forces were depleted of a quarter of its garrisoned fighters as these rode off to investigate Ngcuka’s story. The rallying point for the battle was the secluded Icibilentonga pond some way from the FishRiver en route to Grakamstown. From the rallying point the amaXhosa had to march over 20 kilometres to the outskirts of Grahamstown largely by cover of night. By dawn troops of warriors were within five to ten kilometres of Grahamstown. Makana moved around to motivate and address the troops of warriors throughout the night and at dawn met with the other chiefs to give final command and direction to detachments and squads. He was to take the lead on horseback with a small, and the only, cavalry detachment. When the amaXhosa appeared at Grahamstown on 22 April 1819, the town’s inhabitants and the British commanding officers were completely surprised and taken aback. This was even although British frontier commander Lieutenant Colonel Thomas Willshire had received a cryptic war-protocol message from Makana on the previous day as a warning on the pending attack. His message to Willshire was that he would be joining him for breakfast. Willshire had shrugged it off with an ‘oh yeah’ response, saying that Makana ‘would find him in all readiness’. Effectively he arrogantly did not believe Makana. The element of surprise was not absolute in that Makana did not carry out a night time attack as he easily could have done. The attack on Grahamstown carried a deliberate message of a nation aggrieved at being invaded and it was clear that in terms of the protocols of war Makana was wanting to make a statement in this regard. It was pure arrogance on the part of the British that they were unprepared for the battle for Grahamstown. The garrison was spread out all over the Grahamstown surrounds. Willshire himself was some five kilometres out of town and literally had to race back to town with only ten minutes to spare before the first attacks were launched. By all accounts the amaXhosa attack was not a wild move on the town. It carried all the hallmarks of good planning, supported by intelligence and an analysis of enemy tactics. The amaXhosa used conventional battle tactics, encircling Grahamstown and attacking on its weakest side where the British had not expected them to have attacked. The amaXhosa attacked in formations and pinpointed their targets. The weakness of the amaXhosa is that they did not have modern weaponry in the form of guns and artillery, nor did they have sufficient cavalry to breach the enemy’s defences. They had also not chosen to use the surest tactic which would have resulted in the sure defeat of their enemy – namely a night time assault. The only weaponry that they had was their spears and cowhide shields. British cannon loaded with shot and shrapnel wiped out wave upon wave of warriors as they attacked. Cannons on high ground and at the defence lines took out numerous warriors with each blast while marksmen picked off others. Only the small squad of cavalry led by Makana came anywhere near to hand to hand combat but also had to retreat in the face of cannon fire. The pressure that the British faced was that some of their defence lines were cut off from supplies of powder and munitions. The warriors just had to keep up the pressure for long enough and keep drawing British fire until their foes munitions were spent. At the same time the amaXhosa had to keep their casualties low. This tactic would have worked had it not been for the sudden and opportune involvement of a factor that no intelligence would have foreseen. A Khoena trader and collaborator with the British garrison who had been some distance away was drawn to Grahamstown by the noise of the cannon fire. Jan Boesak was a man who was highly experienced in warfare and also knew the amaXhosa leaders by sight. The British garrison was also Jan Boesak’s bread and butter as he supplied them with buffalo meat. He and his men broke through the amaXhosa lines and connected with the mounted Cape Corps to whom he provided leadership. They now constituted a formidable force of mounted marksmen. Boesak’s men started picking off the known amaXhosa leaders and through their high speed mobile troops brought in a support dynamic to the artillery. At the same time the supply lines between the munitions and the artillery cannons was opened by one of the civilian women in Grahamstown. 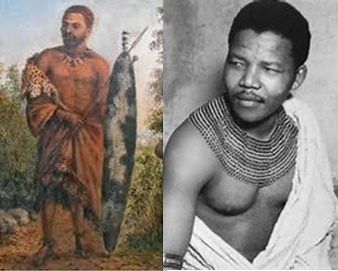 These two actions closed the only tactic for success still open to the amaXhosa who were then forced to retreat. Illustrating the success of the divide and rule tactic, the British were successful largely due to the intervention of the collaborator Khoena free-trader Jan Boesak and the conscripted Khoena of the CapeCorps. The Battle of Grahamstown had Khoena on both sides and Makana as already emphasised himself was part Khoena through his mother’s heritage. The Khoena amongst the amaXhosa were amongst the bravest and most effective warriors. The victory of the British at Grahamstown was decisive in the 40 year struggle of the amaXhosa to hold on to the Zuurveld. The frontier would be pushed back effectively to the Keiskamma River, with the territory between the Fish River and Keiskamma River becoming a ‘neutral’ British regulated territory. Four more major frontier wars would ensue over another 60 years. Makana lost no esteem in the great battle of Grahamstown. Indeed, instead his name became legendary and inspirational to liberation fighters over the next two centuries. Makana’s War carried on for five months after the battle for Grahamstown and was fought bitterly with much losses on both sides. In August 1719, a couple of days after the decisive defeat of Ndlambe in a major battle in the Fish River Valley, Makana shocked Andries Stockenström by walking into his camp at Trompettersdrift in an act of surrender. Makana was said by Stockenström to have ‘displayed an air of pride and self-possession.’ He was prepared to sacrifice his own liberty and possibly his life to take the heat off his people. Makana had clearly thought out the surrender which also seemed to take the focus off British attempts to hunt down Chief Ndlambe. It was further also Makana’s attempt to invoke the protocols of war through a negotiated end to the war by the vanquished. It was perceived that a better deal could be negotiated with the respected Stockenström rather than with Willshire with whom there was no trust. His councillors soon emerged to conduct negotiations. But Stockenström advised that only Willshire could preside over a formal surrender and any negotiations. The British had no respect for this scenario and immediately incarcerated Makana in preparation to have him removed from the region. There was no way that the honourable public enemy number one, the Kaffir Chief Lynx, as they called him, was going to be allowed to walk away. They also declared that all the leading amaXhosa and Khoena chiefs were wanted persons and issued an order to the population to deliver them up dead or alive. Stockenström declared Makana to be a prisoner (of war) and handed him over to Makana’s arch enemy, Lieutenant Colonel Willshire who took Makana to Grahamstown before moving him to Uitenhage, whereafter he was held on the ship HMS Nautilus. He was then transferred to the ship HMS Redwing and shipped off to Cape Town by sea. In Cape Town without any trial or sentence Makana was removed to Robben Island and isolated some distance away from the other prisoners. Makana’s enemies even feared him when he was their prisoner. Makana was kept prisoner in a small house near the harbour at the bottom of the garden of the whaler John Murray’s house. Makana’s quarters was around a kilometre and a half from the male prisoners quarters. The underlying truth of Makana’s comment indicating that he rejected that he was ‘the cause of war’ and by the sarcasm of saying ‘let us see whether giving myself up will restore the peace’ was demonstrated by the fact that war was to break out four more times over the next 60 years, long after his death. Makana’s War was however a defining moment in the conquest of the amaXhosa. In a smaller but equally bold re-enactment, an attack was made on Fort Beaufort 30 years later led by Hermanus Ngxukumeshe Matroos who lost his life in that attack. After his surrender and the colonial declaration that he was a prisoner, Makana made two escape bids and was captured each time. His fighting spirit continued. As a result of Makana’s war the British found that the only way that they would be able to hold onto the Zuurveld and effectively take over all of what they called Xhosaland, would be to flood the area with thousands of British settlers who needed to lay down permanent roots. Thus in 1820 shortly after the end of Makana’s war over 5000 British settlers poured into the extended Cape Colony and took over the traditional lands of the amaXhosa. Under the British, black South Africa experienced a much worse and more intense colonial onslaught carried out by ruthless and well organised military invaders, such as never been seen during the Dutch colonial period. With the cream of the crop of resistance leaders incarcerated on Robben Island, an escape plot was initiated by Khoena leader Hans Trompetter, the brother-in-law of Makana, and a break-out organising group was formed which was made up of Hans Trompetter, Johan Smidt, William Holmes and Abraham Leendert. Makana was not part of the organisers because he had been isolated from all of the other prisoners and was held in a small building more than a kilometre and a half from the others. It is a sign of Makana’s esteem that one of the first actions taken by the rebels was to go and find him and to release him. It is speculated that the organisation of the breakout took quite a few months. In the dark hours of the morning of 9 August 1820 Smidt attacked and seized the weapon of a sentry on duty. In carrying out this action Smidt then freed the other prisoners and they took over the armoury where they distributed arms and ammunition to the rebels. Now armed, the group released more prisoners amongst whom was Makana and Khoena Chief David Stuurman who was ill at the time. Hans Trompetter and a group of eight amaXhosa prisoners of war had formed a squad to rescue Makana from his place of internment in the garden enclosure at Murrays House. By this time the garrison was awakened by the commotion and a short but intense fire-fight ensued with injuries on both sides in this battle. One soldier was to die of his wounds in that fight. After the skirmish with the garrison, there was a group of 26 amaXhosa and Khoena rebels, plus two European convicts and 2 slaves, who then seized 3 whaler boats after they took over John Murray’s whale house for the escape across the sea..
Johan Smidt took charge of one boat of ten persons; the second boat of ten was under the control of William Holmes and the third boat of ten was under Hans Trompetter. Also on this third boat was Makana and David Stuurman. Only Smidt’s boat made it safely to shore with all ten landed. In the case of Holmes boat, all but three of the ten perished in the sea. Trompetter’s boat capsized in the rough surf off Bloubergstrand and this is how Makana met his end along with five others on board. Only four, including Trompetter and Stuurman survived. Makana it was reported by the survivours, brave to the end, clung to a rock, shouting encouragement to his comrades, before he was consumed by the sea and drowned. Fourteen of the 30 escapees drowned in the escape bid. Two more were killed by those who tracked them down. Only two persons evaded capture. Twelve escapees were finally put on trial. All were given heavy sentences; even some of the dead. Khoena Chief David Stuurman had twice escaped Robben Island, so he was thus sentenced to deportation to Australia where he died in 1830. After this event, because of his larger than life reputation amongst the people including his own family, Makana was believed to be alive and at large, even for many decades after.In death he became more of a legend. His long lifetime walk to freedom had come to an end, but his spirit kept marching on in new generations. “Come Makana, Come Makana Come Makana Come!” Comrade Jimmy, an MK liberation bard in the 1980s, reflected that the spirit of Makana was alive as ever. In many ways Makana reincarnated as Nelson Mandela and finally Freedom did come.